Several readers have complained that there are too many headsets on my list of virtual reality headsets and that it’s hard to choose. The following is a list of the ten best, based on what’s readily available on the market today. (And yes, I’ll be updating this list as new headsets come out.) I’ve tried all these headsets — and dozens of others — and these stand out because of their usability and comfort. 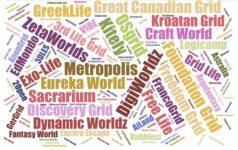 You might notice that some famous names aren’t on this list, including Freefly VR, Homido, Durovis Dive, and Zeiss One. For the most part, these headsets came out a while ago and haven’t been updated since, lack features, are difficult to use, and are significantly overpriced. I got this headset shortly after it came out, and it was free with my Pixel XL phone. Normally, it costs $79. 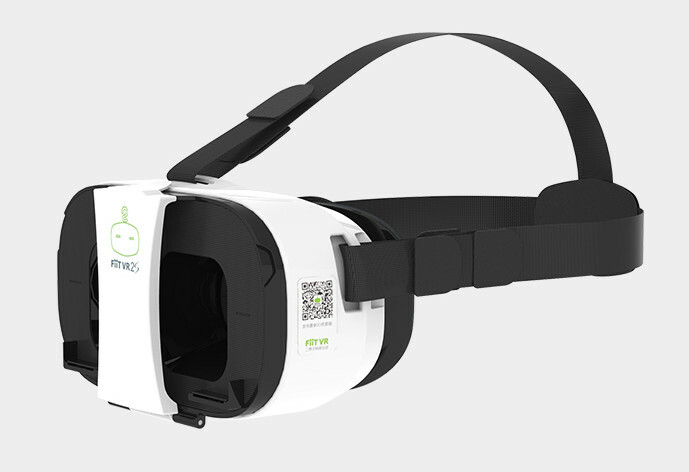 I love this headset’s ease of use, app selection and virtual reality interface. And I especially like the fact that it’s an open platform. That means that there are going to be a lot of phone manufacturers, headset manufactures, and developers creating their own versions. 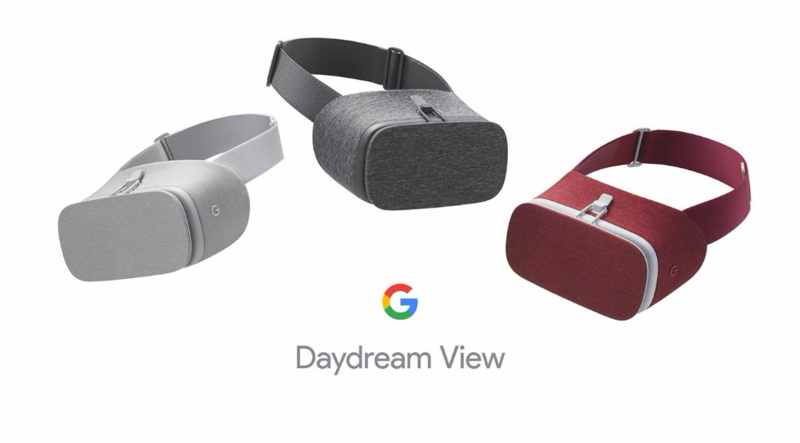 Phones must meet certain hardware requirements to be certified as Daydream-compatible and have to be running Android Nougat. See the full list of Daydream-compatible phones here. I love the fact that this headset leaves almost all the good stuff up to the phone. The headset itself is a simple, light-weight shell with lenses in it. That means that you can keep the headset when you upgrade your phone. It also means that we can expect to see a lot of low-cost alternatives from third-party manufacturers. I also love this headset’s controller. It is currently the best mobile VR controller on the market, hands-down. It has three buttons, one of which doubles as a trackpad, a volume control and — coolest of all — a built-in motion sensor. That means that when you wave the controller around you can use it as a wand, a sword, or a golf club. Or as a simple pointer. This headset is also the most usable headset of any of the VR headsets currently on the market, and I’m including the $800 HTC Vive and Oculus Rift in that number. There’s no configuration required. Download the Daydream app, put the phone in the headset, and it calibrates itself automatically and puts you in a virtual environment where you can choose apps or videos, or download new ones. 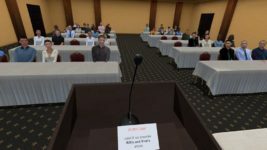 And speaking of apps, not only can you run the thousands of apps already written for Cardboard-compatible headsets, but there is also a fast-growing library of new apps created specifically for Daydream, including Netflix, Hulu, YouTube, HBO Now, Google StreetView, and lots and lots of games. Read my full review here. Buy the Daydream View for $79 on Best Buy. If you have a late-model Samsung smartphone and don’t plan to upgrade to a Daydream-compatible phone, get the Gear VR. 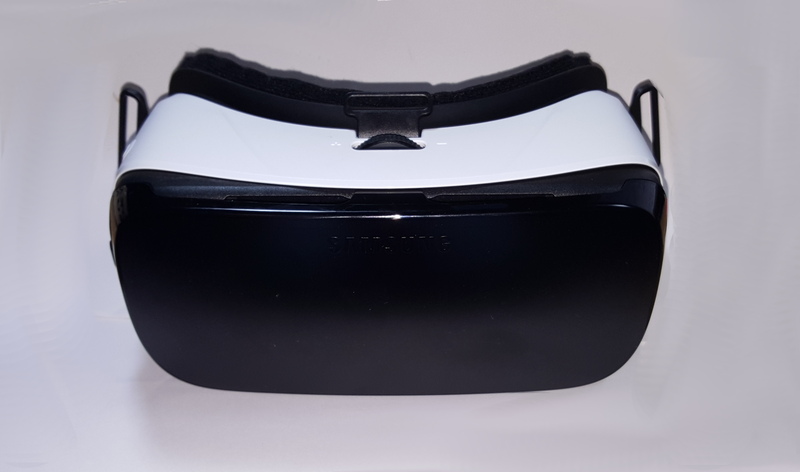 It has extra built-in sensors for better performance and a virtual reality environment that allows you to load, update, and move between applications. The latest edition includes a Daydream-style motion controller, which pretty much brings it up to parity, in my opinion with the Daydream as far as the user interface goes. It also has an exclusive collection of apps in its Oculus store. 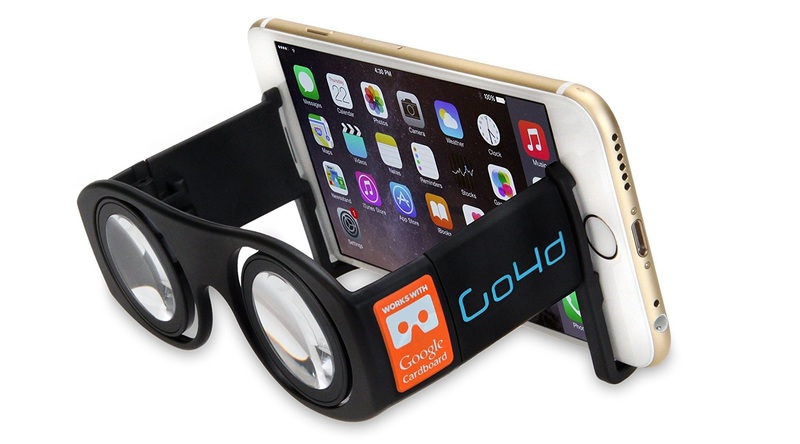 The downside, however, is that you can’t easily play any of the Google Cardboard-compatible apps in it. So if you do get a Gear VR, you might also want to pick up a bare-bones Google Cardboard for the other apps. Get the Gear VR for $60 at Amazon, Samsung, and many other retailers. Read my full review here. If you don’t have a late-model Samsung phone or one of the newest Daydream-ready phones, you can still get a taste of virtual reality — all you need is a phone with a gyroscope. In other words, the phone has to know when it’s being turned. Check your phone’s specs to make sure you have this sensor. Almost all phones released in the last couple of years will have one. My favorite low-end, Cardboard-compatible viewer is the FiiT VR 2S, which has a pretty decent 102-degree field of view, is very light weight, is super easy to use, and you adjust the focus of each lens individually. 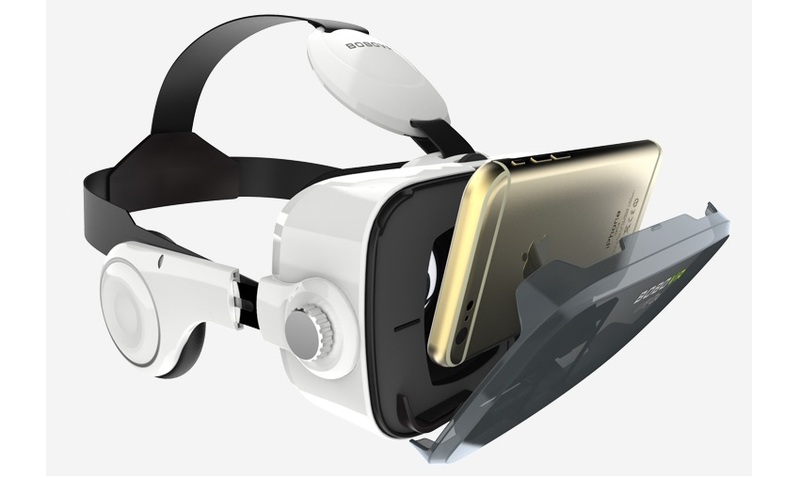 Cardboard-compatible means that you can run all the thousands of VR apps in the iPhone and Google Play app stores. Here’s how to set up your viewer when you first get it. The one downside to the FiiT VR 2S is that it doesn’t have a built-in button. Most VR apps don’t need one. But if you are using apps that do, and you have an Android phone, you can get an external controller. Some sellers will include one for free with your headset. If you have an iPhone, you’re pretty much out of luck, except for these apps. I found the FiiT VR 2S to be very comfortable, and it even fits over glasses. Read my full review here. I got mine from GearBest, where it’s now available for $16 and is bundled with a controller. 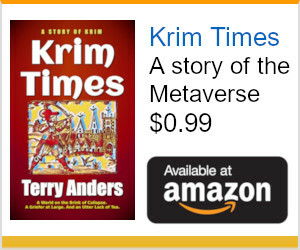 It’s also available for $22 from Amazon. 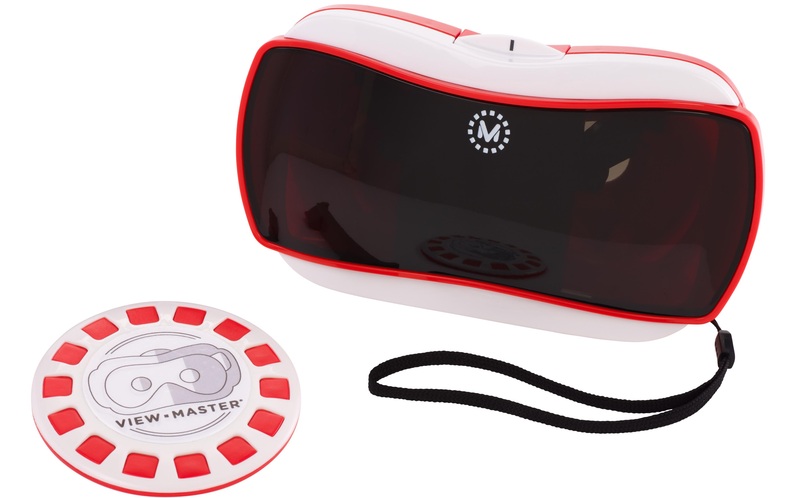 Don’t be fooled by all the marketing hype around the augmented reality “experience reels” — the Mattel View-Master is a fully-functional Google Cardboard headset. The reels are simply a way to package a 99 cent app into a $15 box that grandparents can spend money on. If you put the experience reel down on a table and look at it through the viewer, holographic 3D images will pop up. 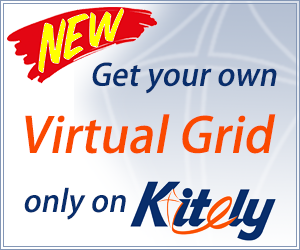 Or you could just go to the iPhone or Android app store and download any VR app on there. There’s a nice, bit button on the headset, so it’s a great option for iPhone users. 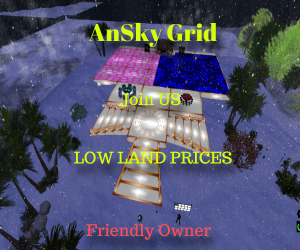 I’ve had large groups of people try it out, and most of them loved it. It’s fun to use, and definitely sets off nostalgic vibes for people. However, the lenses are not adjustable, the headset does not fit over glasses, and there are no straps. It’s designed for kids, and Mattel doesn’t want them to spend too much time in virtual reality. Pick one up in person at Walmart, BestBuy, Toys R Us or Target, or buy last year’s version online from Amazon for $17 or this year’s updated version for $33 on Amazon. The BoboVR Z4, has an amazing field of view of 120 degrees, comes with built-in headphones, a volume dial, and a control button. Plus, it has everything else you want in a headset. 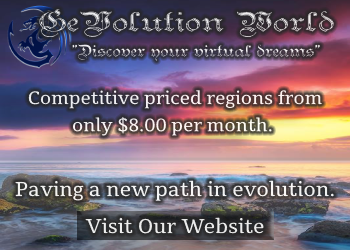 It’s light-weight, easy to use, fits over glasses, has a transparent cover for augmented reality, has openings for power and audio cables, adjustable lenses, and fits over smartphone covers. Read my review here. You can get it on Amazon for $38, or on GearBest for $28. Without the headphones, it’s available on Amazon for $40 and on GearBest for $18. At the end of the day, all a Google Cardboard viewer is, is a box with a couple of lenses in it. Several manufacturers do away with the box part altogether, and just give you the lenses. The smallest of these is the Homido Mini. Read my full review here. 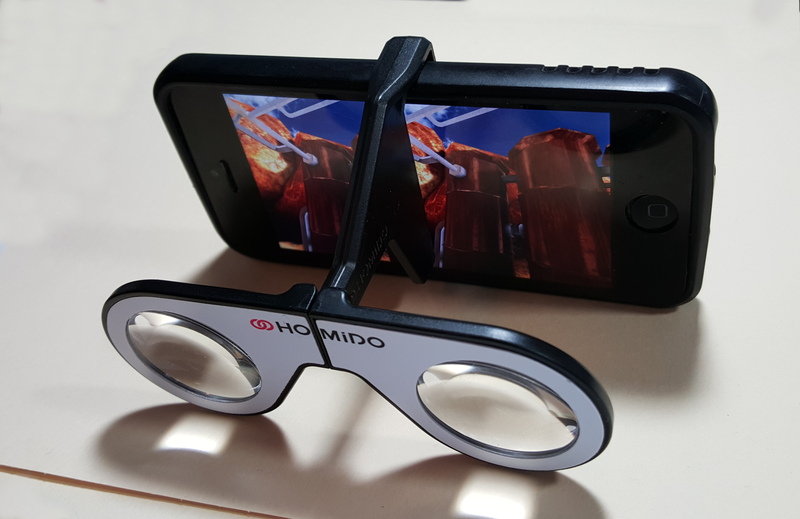 Homido Mini attached to smartphone. The Homido Mini folds in half, so that the whole thing fits in the palm of your hand. It’s smaller than a Post-It note. If you put it down on the couch, it will immediately slip between the cushions. If you breathe in suddenly you could swallow it. It’s small. Nothing about it is adjustable. You can get it for 15 Euros from the company itself or for $15 from Amazon. 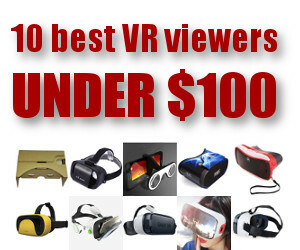 Or you can get any of these other folding, open-sided VR headsets, which start at less than $5 each. One of my favorite low-end headsets so far has been the Leji VR Mini. You can read my review here. It’s super light-weight, sturdy, has a reasonable field of view, comes with straps, has adjustable lenses and is super easy to use. Plus, it comes in cute colors. The downside is that it doesn’t come with a button or remote controller. If you use apps that require one — most don’t — you will need to buy it separately. 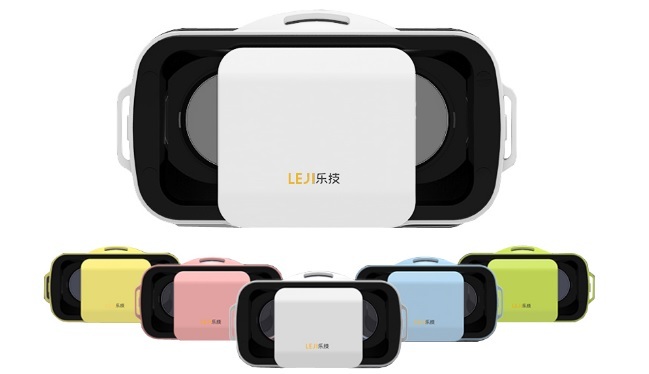 Get Leji VR Mini for $20 on Amazon bundled with a controller, or for $10 from GearBest. The Homido Mini might be smaller than this headset, but the Homido’s single-arm setup means that it tends to slide around on the phone. That’s the last thing you want to see when you’re trying to enjoy a virtual reality experience. By comparison, the Goggle Tech C1-Glass, which is almost as tiny, has two arms, so the phone is kept in place more firmly. I take mine with me to conferences and other kinds of get-togethers and use them to quickly demonstrate what virtual reality is all about. The easy access to the screen means that you don’t need a button or controller — just tap the screen instead. You also don’t have to take the phone out of the viewer to switch apps or queue up new videos. Plus, you can look over someone’s shoulder and see what they’re doing, and help them if they get stuck. These are $25 from Amazon, come in four colors, and have a very nice carrying case. When companies give away free virtual reality viewers, they tend to gravitate towards the cardboard ones. They’re super-cheap when you buy in bulk, and you can fold them flat and include them in newspapers, cereal boxes, just about anything. If your app doesn’t require a button — and most apps don’t — then the price of the viewer drops even further. Check AliExpress for super-low bulk prices — just make sure you buy the V2 version, with the capacitative touch button on top, not the V1 version with the magnet on the side because the magnet always falls off. But if your company is looking for something classier, then you can get a bulk discount on several other, much nicer headsets. One of the ones I like best is the Powis Custom viewer — see my review here. 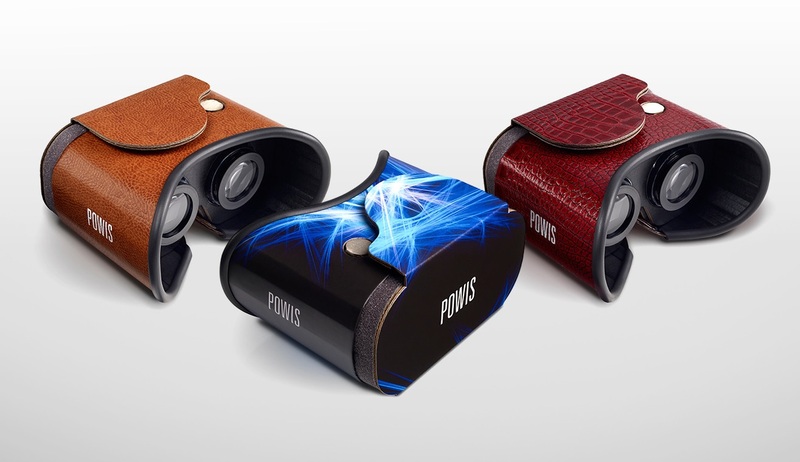 During a demonstration recently of two dozen different Cardboard-compatible viewers I often found myself reaching for the Powis because it was comfortable to hold and easy to use. Get the headset for $30 on both the company site and on Amazon. Other custom headsets you can get include the Dscvr, the Cobra VR, and custom viewers made out of actual cardboard from I Am Cardboard, KnoxLabs, Unofficial Cardboard, DodoCase, and Mr. Cardboard. When working with the supplier to design the case, make sure you include a Google Cardboard QR Code on the side of the viewer or on an inside flap, so that users can configure their smartphones. 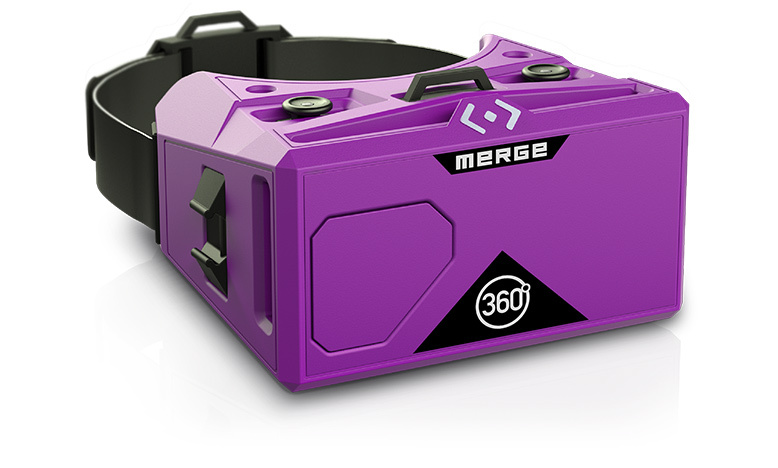 I am not personally a fan of the purple Merge VR headset. It never really quite fit right, and the rubbery material made it hard for me to get my phone into it with the phone’s protective case still on. 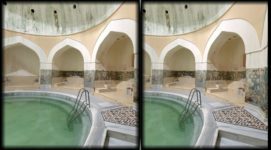 However, many people do find it comfortable, the material is easy to clean, and it has adjustable lenses. Plus, there’s a built-in button, so it works well with iPhones. Buy it for $62 on Amazon.